Winter in Wisconsin brings short cold days and long frigid nights. 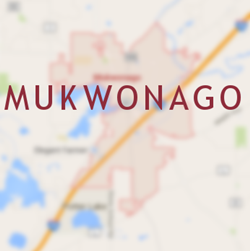 These cold temperatures keep many of Mukwonago’s 7000+ citizens indoors around their warm and toasty fireplaces. With cool weather descending upon Wisconsin in late fall and not giving way to warmer temperatures until mid-spring, Mukwonago fireplaces see plenty of use. This extensive use leads to the buildup of creosote inside your chimney. Buildup can lead to blockage, deterioration of the chimney, and hazardous chimney fires if not properly cleaned. An annual chimney cleaning will protect your chimney and home from dangerous fire and smoke damage and ensure your chimney runs at optimal conditions. Wisconsin Chimney Technicians has over 30 years of Mukwonago chimney cleaning experience. Our chimney sweep technicians will clean your chimney, preparing your home for the next long winter. Excess moisture poses a major threat to your chimney. This moisture damages the brick, especially when it freezes and thaws. There are some easy steps you can take to prevent moisture from damaging your chimney and fireplace. A chimney chase cover provides protection against Mukwonago chimney water leaks by covering the chimney flue and ensuring moisture and debris stay out. Leaks are a common problem for Mukwonago chimneys and can be frustrating for homeowners to find. Chimney leaks often come from small, hard to find flaws in the chimney. Wisconsin Chimney Technicians utilizes an industry standard test, along with fog testing, to quickly and precisely determine the source of your chimney leak. Once the source has been found, our Mukwonago chimney repair specialists will quickly and expertly repair the annoying leak. There are plenty of old chimneys in Mukwonago in need of replacement or relining. These old and worn out chimneys can cause smoke or burning embers to be vented back into your home, leading to smoke damage and potential fire hazards. There are two options to fix this problem. Mukwonago residents can tear down the existing chimney and install a new one at considerable expense or opt to reline the existing chimney. Relining your existing chimney is more cost effective and time efficient than a full replacement. Our Milwaukee chimney relining specialists will install a high quality and durable chimney liner within your existing chimney structure, saving you time and money. Regular Mukwonago dryer vent cleaning is just as important as chimney maintenance when it comes to protecting your home against fire hazards and keeping your energy bills down. Your dryer vents become clogged with lint over time. This slow and steady buildup of lint can lead to fire in your home. A regular dryer vent cleaning is vital to protect your home and family. Schedule your Mukwonago dryer vent cleaning from Wisconsin Chimney Technicians today for ideal dryer operation. Contact the Mukwonago chimney repair experts at Wisconsin Chimney Technicians for exceptional service.